Why Your Next Project Manager Could be SAP? Project Management has always been central to successful business agendas and meetings. The pressure to achieve a company’s key strategic goals with exceptional quality in a defined time frame can never be sabotaged. In a hyperactive digital world, where iteration cycles are shorter, project teams are working remotely and the pressure to deliver outstanding results is ever greater. At the same time, new capabilities are springing up to manage the drastic shift of working culture and to ease the project management tasks with 100% precision and efficacy. Advanced technology is empowering businesses to act smarter and make decisions at the drop of a hat. But, what if those decisions that you can completely depend on could be made by a single ERP software system? Here Comes SAP Business One..
Generally, a project manager has to juggle multiple responsibilities such as planning, executing, and monitoring project closely. More sophisticated systems, such as SAP Business One helps to gain real-time insights into project progress and helps you ensure successful project execution. With a single software, it becomes relatively easier to create detailed project reports for management with less effort. Such an amazing one. Isn’t? However, that doesn’t mean that human intervention is not at all required. SAP Business One is a powerful business tool which is supporting small and medium-size businesses and supporting their end-to-end business requirements. With this intelligent and next-gen software, it becomes easier to make informed decisions and focus on more strategic priorities while ERP software can do the rest. With the duo combination of human and machines, the project manager can anticipate upcoming market demands with high precision, keep a tab on upcoming opportunities, plan better to expand into new markets and mitigate risks beforehand. The Project Team is Globally Dispersed.. This era is marked with workplace flexibility where project teams are certainly not positioned at a fixed place, They are working remotely and staying across the country or the globe, collaborating closely with each other more closely. Thanks to digital empowerment. SAP Business One fits best for the increasingly dynamic work-at-will model. Whether your project management team comprise quality examiners, software engineers, support engineers, contractual or part-time employees, or a combination of all, SAP Business One is smart enough to manage projects, tasks, timelines, checking availability, assigning right resources, and tracking progress. When people and technology work in sync.. 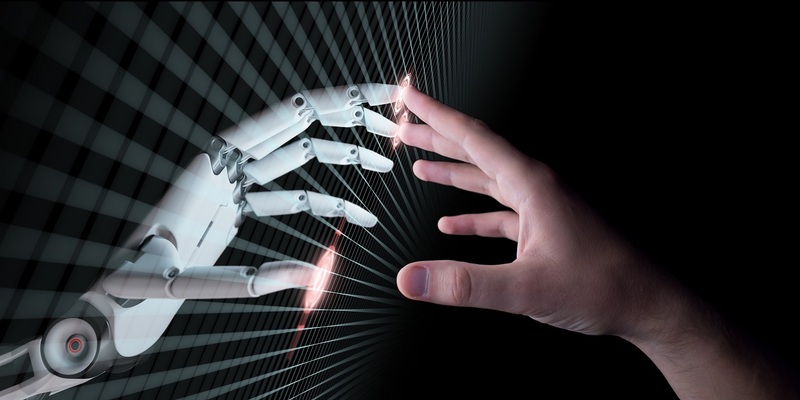 Ultimately, a more realistic and desirable case is one in which both human and machines are working alongside and is working in tandem to meet organizational goals. The time is now to reap the maximum benefits of technology and replace the manual and cumbersome tasks which is killing the valuable time of project managers, decision makers, and all human resources. SAP Business One will keep empowering business world with its enterprise-grade capabilities and will quickly be ingrained in our daily lives, whether we realize it or not. So, the question is whether SAP Business One could be our next project manager? The answer varies. Technology is here to stay and for our betterment. So, while others paint a wildly unrealistic picture of AI and technology like robots and machines taking the jobs of humans, we know this cannot really happen. Technology, robots and machines such as SAP Business One are here to simplify the daily lives, to free us from mundane repetitive tasks, giving us more time to focus on more tactical decisions and manage the full project lifecycle seamlessly.